LOCATION, LOCATION, LOCATION!! 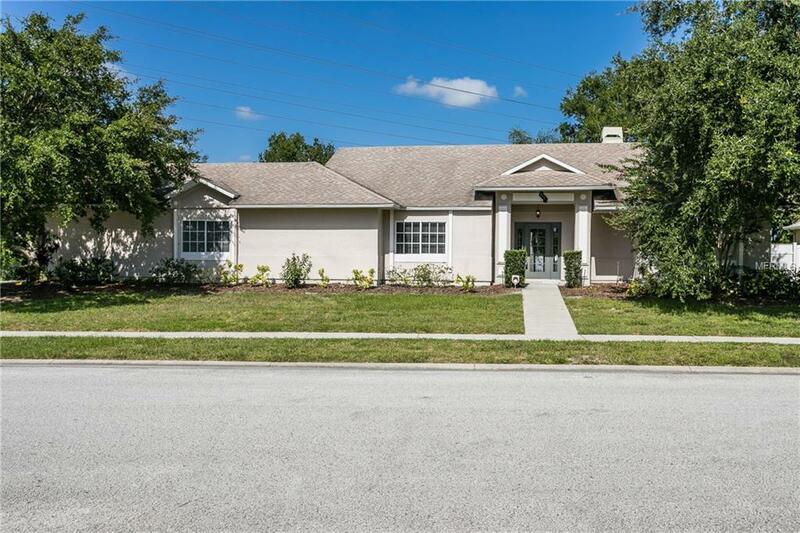 THIS HOME HAS THE GREAT OVIEDO LOCATION CLOSE TO UCF, AND LESS THEN 2 MILES TO THE NEW DOWNTOWN OVIEDO ON THE PARK. THE DOWNTOWN AREA FEATURES ALL NEW RESTAURANTS AND SHOPS. THIS 3 BEDROOM / TWO BATH SINGLE STORY HOME OFFERS AN OPEN FLOOR PLAN, SPLIT BEDROOMS, KITCHEN OPEN TO THE FAMILY ROOM AND SEPARATE NOOK SPACE. THE INTERIOR HAS JUST BEEN PAINTED AND ALL NEW WOOD FLOORING JUST INSTALLED THROUGHOUT THE HOME. TILE IN KITCHEN AND BATHS. MASTER BEDROOM HAS LARGE WALK IN CLOSET. MASTER BATH HAS DUAL SINKS, LARGE SOAKING TUB, SEPARATE SHOWER AND LINEN CLOSET. SEPARATE DINING ROOM AND FAMILY ROOM WITH WOOD BURNING FIREPLACE. FAMILY ROOM HAS TRIPLE SLIDING DOORS LEADING OUT TO THE LARGE 9X44 COVERED PATIO. BACKYARD IS COMPLETELY FENCED IN. SIDE CAR ENTRY WITH TANDEM GARAGE WITH PARKING FOR 3 CARS. CALL TO SCHEDULE A SHOWING! Additional Lease Restrictions Check With Association For Lease Restrictions.